We go bouldering in Pfungstadt. We meet at 18:00 in front of ESOC. Drivers are usually needed, so if you have a car available please let us know. For better planning let us know quickly whether you plan on coming. The club pays for the entry fee and provides needed equipment. If you’re not a member yet, you can Become a Member. We will send out additional e-mails for each of the club nights as reminder. We are happy to offer you a beginner’s climbing course at the climbing gym in Bensheim (High Moves – Beginner’s Course) again this year. If you know anyone interested in joining, please forward this mail! The course is held in English and split in two sessions on 12/03/2019 and 13/03/2019. We meet at ESOC at 17:45 (sharp!) on both nights and drive to Bensheim. Safety instructions, e.g. how to put on the harness correctly, the right knots, partner check. Belaying of another climber, e.g. how to safely belay, take in (hold in position), and lower people. Basic fall training into the rope, for climber and belayer. With this knowledge you’ll be able to participate in future club nights and climb and belay safely. All required equipment is included (e.g. climbing shoes, harnesses, belaying devices), but you are welcome to bring your own. 1. Respond to this mail before 28/2/2019. First come first serve. 2. 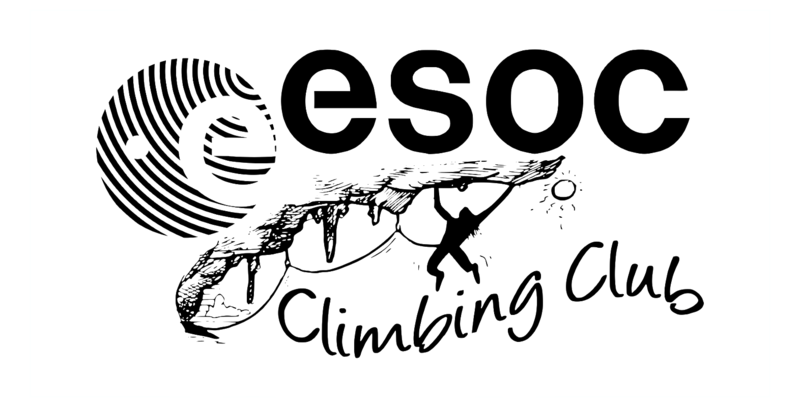 If you’re new to the club, please sign up for the ESOC Climbing Club at https://www.mysscc.club/home/ and transfer the total amount of €45 or €55 to the club’s bank account. If you’re already a member, please transfer the additional beginner’s course fee of €20 to the club’s bank account. Your registration to this course is final when the fee is transferred. 3. Join us on 12/03/2019 and 13/03/2019 in front of ESOC at 17:45 respectively. The regular club night on 11/03/2019 will be moved to 12/03/2019, so there’s an opportunity to get in touch with the other club members. We go climbing in Bensheim. To combine the driving with the beginners course, we meet already at 17:45(!!!) in front of ESOC. We go climbing in Bensheim. We meet at 18:00 in front of ESOC. and supported by ESA's Sports, Social & Cultural Committee (SSCC).